the “C” and “S” machine models. (200mm), 10” (250mm), 12.6” (320mm), 16” (400mm), or 17.7” (450mm) – for perfectly meeting individual customer requirements. 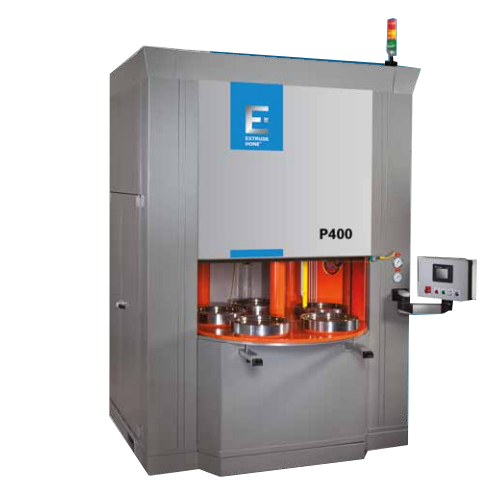 by a continuous flow water cooling ring ensures reliable operation. Engineered for durability and reliability with hydraulic ram providing reliable chamber closing. Low-noise hydraulic power unit reduces noise into the production environment and delivers increased safety for the machine operator. Enables system to be used in continuous operation. Achieves consistent quality with high-precision gas delivery system. Facilitates quick set ups and fine-tuning of parameters, convenient machine monitoring and operation, and integral fault diagnostics.